Quinoa for breakfast? Are you nutty? I never thought I could have quinoa for breakfast before because it tastes like lunch and dinner food. But I did have it for breakfast because my mom made something with quinoa the other morning. She wanted to try some new things for breakfast. She used Trader Joe’s Organic Tricolor Quinoa. Usually she makes quinoa salad with vegetables and olives but this was totally different. Maybe people can use quinoa for any meal! You might want to try this for breakfast. 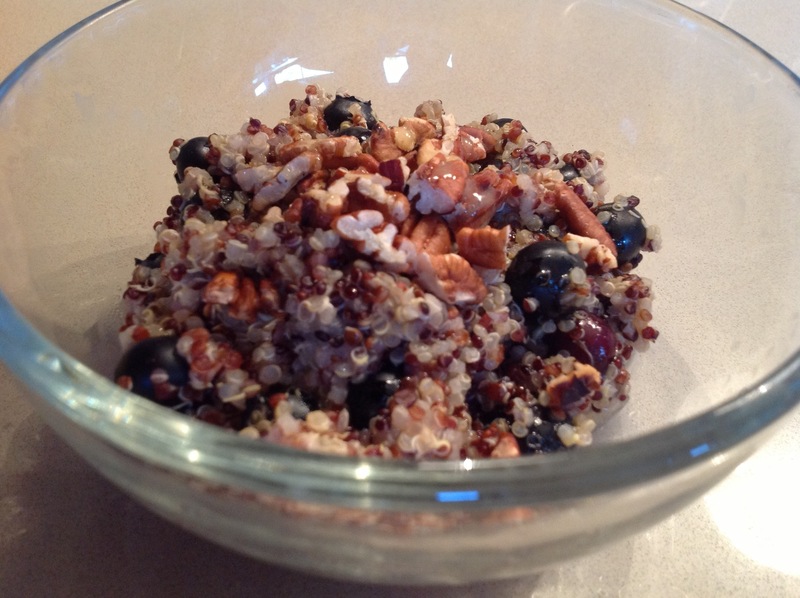 She made the the quinoa with almond milk instead of water and mixed in blueberries, pecans, cinnamon and put a drizzle of honey on top. I thought it was unbelievable! Take a look at the photo. So glad you are willing to try new foods for breakfast. What’s next? Breakfast for dinner? Maybe you could write a cookbook about topsy-turvy meals. Do you think it matters in what order we eat our meals each day? I don’t think it matters. Maybe we could go lunch, dinner, breakfast! You and Gama should have a talk about quinoa–she really likes it. When I was at the store yesterday. she called me to pick some up for her, which I did. 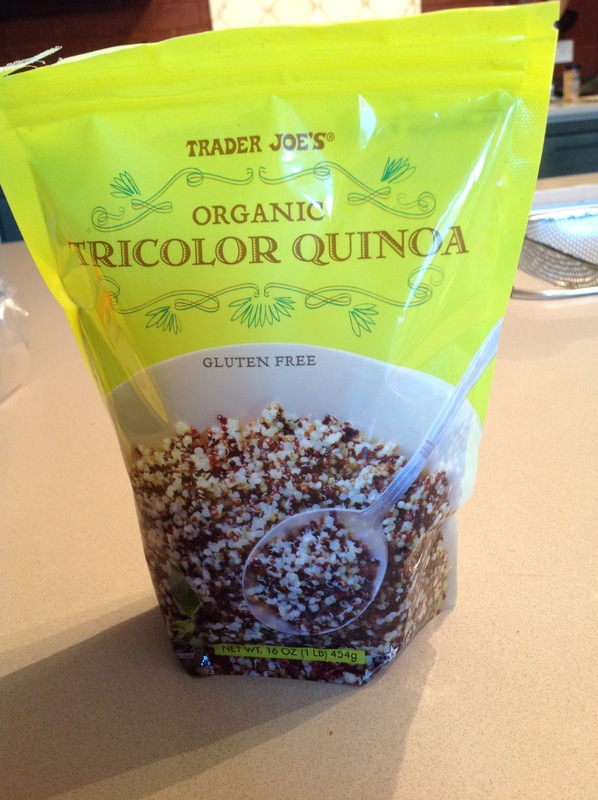 But when I got home, she said I got the “wrong kind.” So I guess Papa isn’t a goos quinoa-shopper! Really? She likes quinoa? I don’t understand why you didn’t spell good the right way! Papa also can’t spell!! “goos” = “good”.